Adele is a physical oceanographer at the Australian National University. She completed her PhD at ANU, then spent a few years as a postdoctoral fellow at Princeton University, before returning to ANU as an Australian Research Council DECRA Fellow. Adele uses high resolution climate models to investigate what drives the Earth's ocean currents. 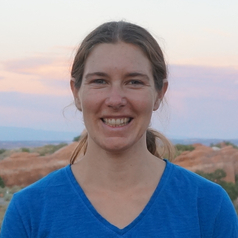 Her interests include understanding how ocean circulation can impact climate through the exchange of carbon with the atmosphere, and how warm ocean currents melt ice in Antarctica, leading to sea level rise.